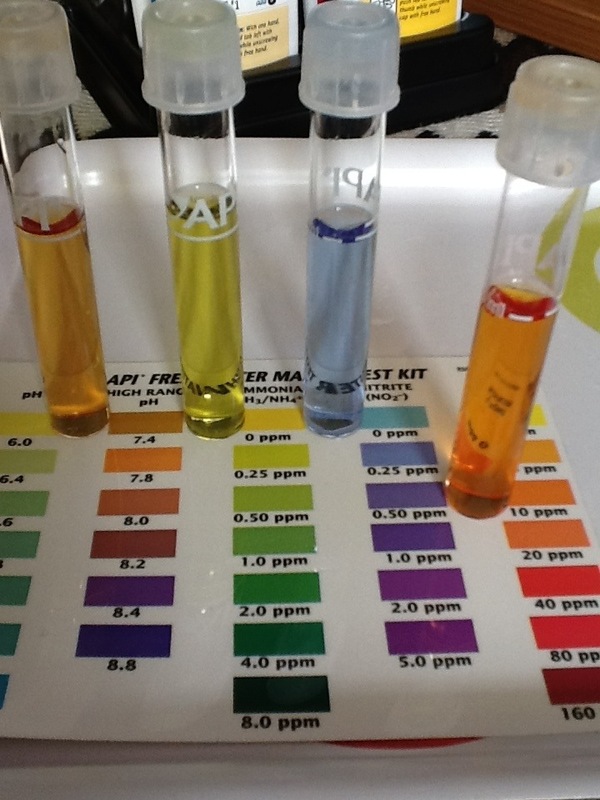 Today’s water tests show all is well – hooorayyy! From reading online, I expected a peak in Ammonia, then for that to reduce and for Nitrite to peak, lastly the Nitrates to be present, showing that the essential bacteria had grown. Online forums have suggested this would take 3-6 weeks. The bacteria must be present for the Nitrate to appear so it appears to have cycled. I will continue testing as maybe it is a freak result and it hasn’t really happened! Can it be that easy? Have I spoken too soon? !